Properties in Monti Silvestri Lift average 4.5 out of 5 stars. Romantic room on the sea! 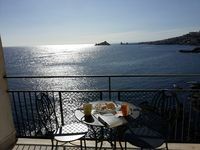 Property 8: Romantic room on the sea! 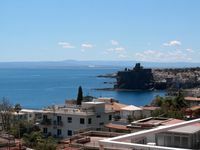 Property 17: "Flower of Etna"
Lovely Villa divided into 4 units with a 25-Meter Pool between Etna and the Sea - 'Gelsomino"
Property 25: Lovely Villa divided into 4 units with a 25-Meter Pool between Etna and the Sea - 'Gelsomino"
Property 26: Blue House: Between Sea and Volcano! Suite Apartment - Fast Wifi - A / C - Supermarket & Shops -exclusive "SunTripSicily"
Property 31: Suite Apartment - Fast Wifi - A / C - Supermarket & Shops -exclusive "SunTripSicily"
Property 41: Casa Willy, with terrace. Quiet and clean place, a little dated but if you look past that, the views from the 2 balconies are amazing. Walking distance to both small towns with great restauants. The owner was very helpful and let us check in a little early. I would stay here again.